Get ready for cheap date night ideas that are fun, romantic, and cute that you should absolutely NOT miss in summer — especially when you’re trying to save up. Summer is the time when everyone is out and about because the weather is warm, and sometimes it is hot which means you will see plenty of people soaking in the pool to cool down. And, this is the time when plenty of dating couples look for exciting things to do but they are looking into spending a lot of money on going away on expensive summer vacations several times during the season which adds up. Additionally, they will be also looking for plenty of restaurants that they can go to and have a meal or some drinks on the patio. There is nothing wrong with doing any of that in moderation, however, doing those summer activities too often will end up breaking the bank. And, as a result, there will be no money left for when a car issue comes up, or for any emergency that could come up in general. That is why it is best to always be as frugal as possible no matter what anyone’s financial situation is unless they are multimillionaires which is the exception and not the rule. That is why when it comes to dating, it is always best to look for frugal ideas, and that is why you will be happy to know about these 5 cheap summer date ideas that you are going to love. It is tempting to go to expensive restaurants a lot during the summer, but instead of dining out, why not pack a picnic? Go find a park and be sure to sit in a shaded area to stay cool, and bring a blanket to place the food on and to stay comfortable. This is a lot cheaper than going to a restaurant. There are plenty of fresh and delicious foods to look at whenever you go to the farmers market and this is a cheap date idea that anyone would enjoy quite a bit. You can spend your day walking through the organic area where you can pick up plenty of fresh produce that you can take back and cook up for dinner at home, which is always another cheap date idea to do at any time of the year. And, at the farmers market, there are plenty of interesting foods that you would really want to try out as well, that is quite tasty. 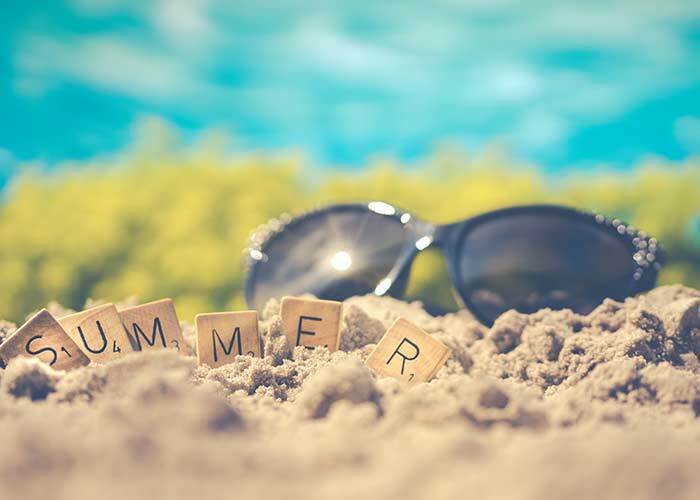 Hotels are expensive and it is tempting to go away during the summer not just once but several times during the season because the weather is nice. However, in order to cut the costs down, you will want to look into renting a cabin for a weekend instead of going on more than one expensive vacation together. Spending a few nights at the cabin will cost you a fraction of a stay at any hotel, even the cheaper ones. Yes, you will rough it a little but it is not on the same level as pitching a tent if that is not your style. It would not be a summer date if spending time at the swimming pool was not mentioned! And a day at the pool will be a fun cheap summer date idea that you will want to take advantage of. You can spend the day at the pool to cool off and freshen up and enjoy being in the water with your date. You can have some fun in there as well, and it will be a refreshing experience. And, if you want to take a dare when it comes to swimming, why not crash a pool party and get further excitement going? Yes, the fact that you would be crashing would not make the host happy since you were not invited, but isn’t that what part of the excitement is all about? Some of these outdoor summer concerts are actually free to attend, but if not, they are inexpensive and they are definitely an excellent cheap summer date idea that you and your partner can enjoy. There are summer concerts happening all around any city and all you have to do is be on the lookout for them. No, there is a good chance that your favorite artist will not be playing, especially if it is a musician that is well known. However, why not make the most of going to a concert because they are exciting to attend unless you dislike the genre of music playing. But that usually is not the case with summer concerts. With these cheap summer date ideas, there is no reason that you have to spend an arm and a leg on dates during the warmest season of the year. If you have some ideas as well, please share them! Copyright © 2019-2022 Metropolitan Girls. As an Amazon Associate, Metropolitan Girls earns from qualifying purchases.